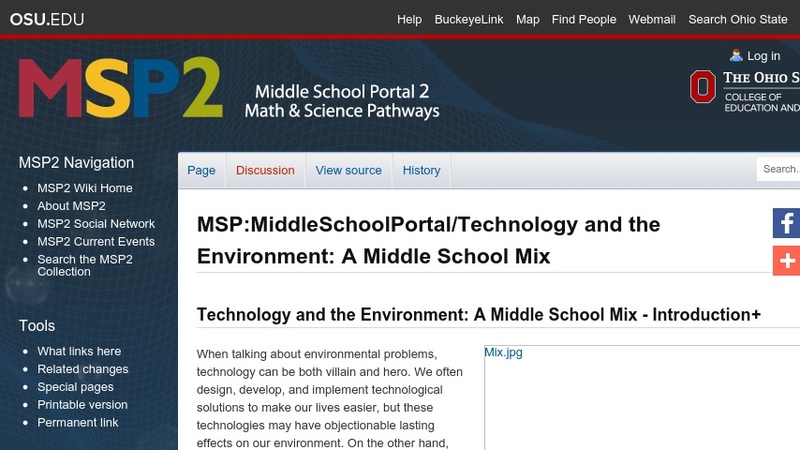 This resource guide from the Middle School Portal 2 project, written specifically for teachers, provides links to exemplary resources including background information, lessons, career information, and related national science education standards. In this wiki page, middle school technology, science, and math teachers will find high-quality digital resources that they can use when building or freshening a unit about the environment. As the introduction notes, units about technology and the environment provide excellent opportunities for teachers of technology, science, and mathematics to collaborate. The featured links to activities were selected to help equip students to assess the risks and benefits of individual and industrial uses of technology.